Zurich, Switzerland, March 18, 2016 – Innovative software solution using ABB's KNX building automation platform improves energy efficiency and turns Microsoft's office in Denmark into a smart building. Sophisticated control functions work in line with the natural rhythm of the day. ABB has supplied its pioneering building automation solutions, including daylight harvesting, to increase the energy efficiency and comfort for new Microsoft offices near Copenhagen, Denmark. 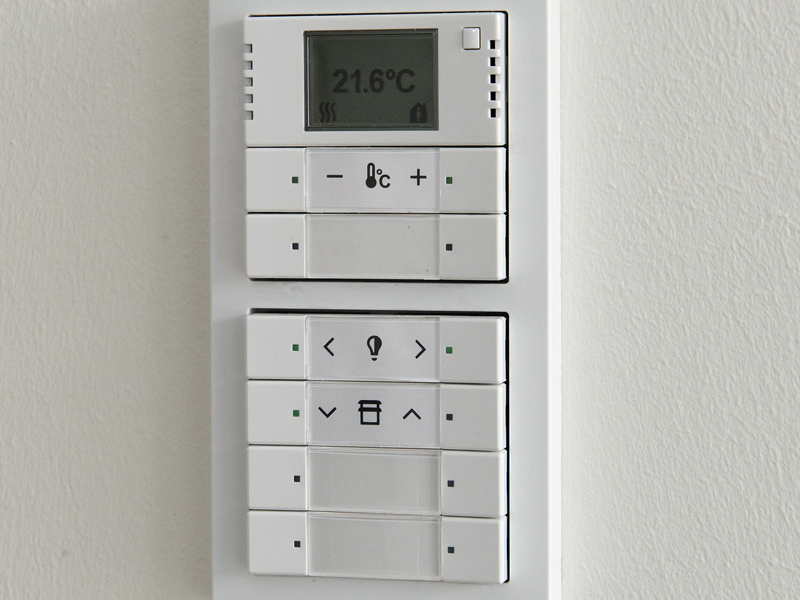 The proven KNX building control platform from ABB, used in several thousand installations worldwide, utilizes the Internet of Things, Services and People (IoTSP) to adapt control functions in line with the natural rhythm of the day. Studies demonstrate that intelligent building control can reduce energy usage by up to 30%. In Lyngby, on the outskirts of Copenhagen, Microsoft's new 18,000 square meter building is made up of two adjoining cubes with a large V-shaped atrium running through the buildings, creating a light and spacious work area. Complementing this, ABB's intelligent building system is designed to maintain the perfect indoor climate through optimized temperature, air quality, and lighting. "This is a landmark building project using state-of-the-art solutions fitting for a leading technology company like Microsoft. This is a great example of two technology pioneers collaborating to mitigate the impact on the environment through IoTSP technology," said Tarak Mehta, ABB's Electrification Products division president. The building's façade and ceiling are glass, facilitating the use of daylight harvesting technology. Sensors measure the levels of natural sunlight and presence detection in the building and the system regulates the lighting and shutter controls. By using the sun's warmth and light and adjusting the blinds, energy savings can be made with respect to employee comfort. Studies have shown savings of between 20 to 60% on the lighting energy consumption – lighting equates to 30% of a building's energy usage. The project was delivered by the Danish electrical contractor Hoffmann. ABB (www.abb.com) is a leading global technology company in power and automation that enables utility, industry, and transport &amp; infrastructure customers to improve their performance while lowering environmental impact. The ABB Group of companies operates in roughly 100 countries and employs about 135,000 people.